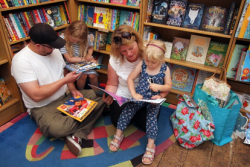 Earlier in the year, Bournemouth’s coastal businesses joined forces to provide a fun family-friendly Easter activity. Utilising our Go Bournemouth Coast App, we brought back the popular #LoveBournemouthBunnies competition with a new and exciting augmented reality twist. 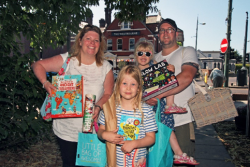 Hiding physical golden bunnies and unlockable virtual bunnies in the premises of participating businesses we created an exciting treasure hunt for people of all ages. Our innovative competition challenged Bournemouth residents and visitors to explore coastal businesses, take photos with bunnies and share their photos using the app on social media using #GoBoCoast to enter an exciting prize draw. From hundreds of adorable photos, we chose our top three. 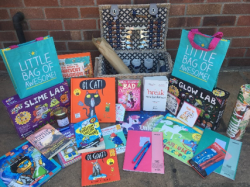 Now it’s finally time for you to meet one of the winners! 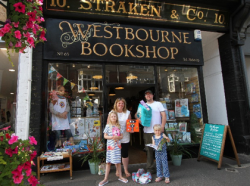 We kicked off our retail adventure at the Westbourne Bookshop, a family-owned independent bookshop which has been trading in Westbourne since 1994. Book enthusiasts from an early age, the two young girls were fascinated by the sheer diversity of books. 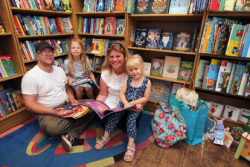 Fairy tales, non-fiction, picture books, novels, poetry… they were able to broaden their personal book collection after our visit to the Westbourne Bookshop! 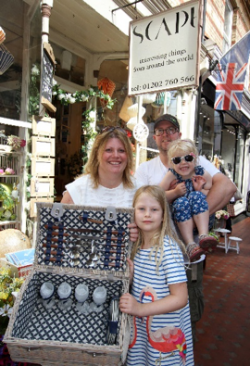 After satisfying their appetite for reading, our winners moved on to Scape Interiors, a furniture and gift shop which features unique pieces from around the world. Here, it was mum’s turn for a treat! 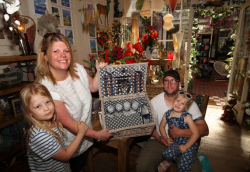 She chose a gorgeous picnic hamper which we’re sure will come in handy this summer. 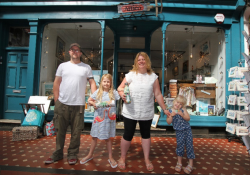 After a quick wander in the alluring Westbourne Arcade, the family of four stepped into Attico, a gift shop selling timeless, eclectic and quirky pieces. 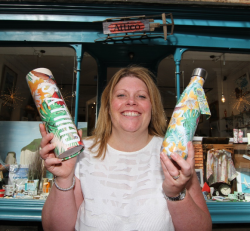 Here, mum found a perfect addition to her previously purchased hamper, a Chilli’s Eco-Friendly Drink Bottle. 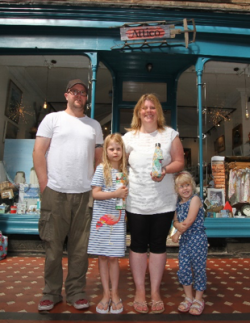 The colourful bottle will certainly help our winners stay hydrated and healthy through the heatwave! 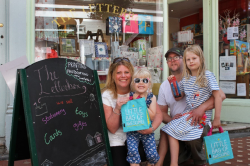 To treat the little ones, we then took them to The Letterbox, a craft and gift shop stocking everyday essentials and great gift ideas. Pens, crayons, pencil cases… the girls will definitely put them to good use when school starts! Final Stop: Le Petit Prince Patisserie. 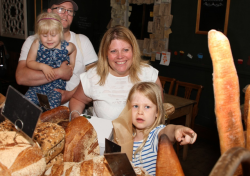 To give our winners a true taste of Westbourne’s renowned foodie offering, we finished our fun day at Le Petit Prince, a patisserie with its own in-house bakery, selling a range of artisan bread and pastries. 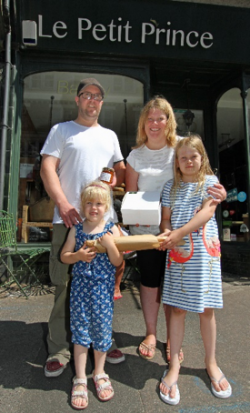 The heroes of our story look delighted with their patisserie delights. It was a brilliant day for all. 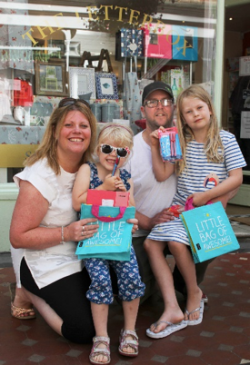 Our winners discovered a range of fantastic Westbourne businesses and went home with a sack full of goodies! 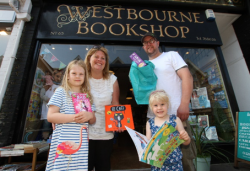 Special thanks go to the Westbourne Bookshop, Scape Interiors, Attico Group, The Letterbox and Le Petit Prince Patisserie for helping us reward our winners.